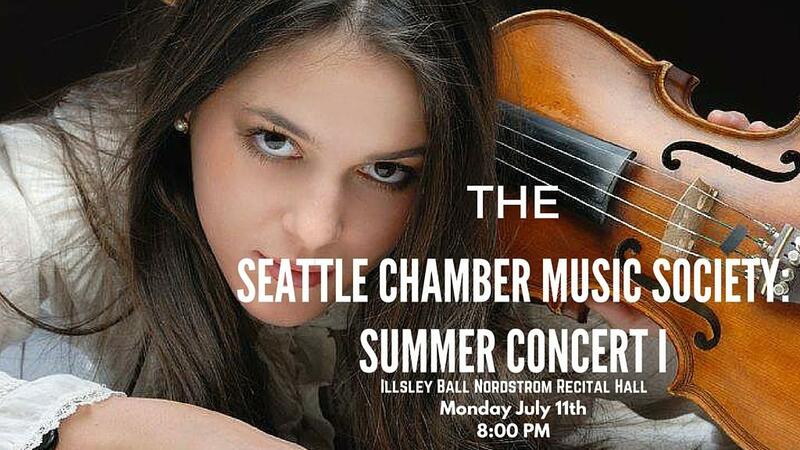 The stunning SCMS musicians will grace Nordstrom Recital Hall at Benaroya Hall with a program that includes Haydn's bright, optimistic String Quartet op. 20 no. 6, the last of the so called 'Sun' Quartets, Schumann's magical Märchenbilder or Fairy Tale Pictures for Viola and Piano, Op. 113, Beethoven's Piano Trio op. 70 no. 1 with its eerie-sounding second movement that earned the trio the nickname 'Ghost' (Seattle's own cellist Efe Baltacıgil will perform with violinist Amy Schwartz Moretti and pianist Inon Barnatan) and a surprise piece, commissioned by SCMS, Jeremy Turner's The Inland Seas performed by James Ehnes, SCMS's artistic director and pianist Chris Thile. Konnectclub in partnership with SCMS offers you half price tickets at $25 (regular $50). Limited quantity. Buy your 50% off tickets ahead of time, sale ends early. Do not miss this concert!